This morning, Twitter was doing its Twitter thing about a maths problem again. 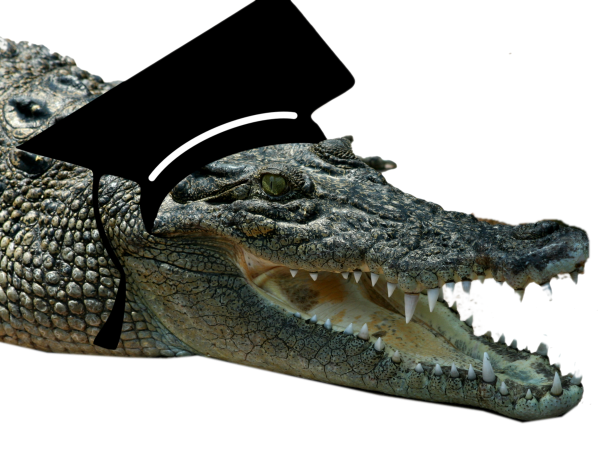 Most people were linking to this BBC story, “Crocodile maths question ‘was challenging'”. Apparently this year’s Scottish New Higher maths exam contained a question which a lot of people found hard. You could remove the word “crocodile” from that headline and obtain a perfectly acceptable statement about a maths exam, but that’s not what people are complaining about.